Meet & Greet Booksigning | Fay A. Klingler | I Am Strong! | We Are Strong! Fay A. Klingler: I Am Strong! I Am Smart! and We Are Strong! The native Arizonan visits to sign her two new self-published books—a picture book and a collection of inspirational mother-daughter stories. In I Am Strong! I Am Smart!, Luisa May, known to her family and friends as Lu, loves to play games with her Grandma. When she's bullied at school, Grandma has a special puzzle for Lu to help her see how valuable she is no matter what others say, or how much doubt she feels within herself. Soon after, Grandma has to go to the hospital, and Lu finds out Grandma needs help recovering. Then it's Lu's turn to help Grandma see how valuable she is no matter how much doubt she feels within herself. In We Are Strong! : Mothers and Daughters Stand Together, Klingler shows how every girl needs a mentor, someone she can trust to show her the way home to Heavenly Father. The stakes are high for women of influence, because how they live and how they teach the Heavenly Father's daughters will change the course of their lives forever. Using compelling real-life stories from women of all ages, Klingler clearly defines how and why we must continue to teach and live values for young women to live by. We Are Strong! illustrates how powerful a faithful woman's example can be. 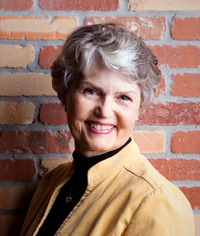 FAY A. KLINGLER grew up in Mesa and Strawberry, Arizona. She is currently married to an incredible man with a blended family of 12 children. She lives in Draper, Utah. On her website, fayklingler.com, she talks about how she became a writer and an illustrator.